The joint venture, Ealing Metro, will see the UK studio and the UK fillm financier merging their respective sales divisions; the company’s new slate will be announced in the run up to Cannes, with a planned 10-15 films a year. Ealing Studios and UK film financier Prescience have merged their respective sales divisions to create a new international sales and distribution company, Ealing Metro. The new joint venture will be headed up by Will Machin, who is currently head of distribution at Ealing. Machin previously worked at Capitol Films where he was head of its specialist division, Thinkfilm International and before that at Carnaby Films, where he launched the company’s sales arm. He will report to Tim Smith, the CEO of Prescience and James Spring, the CEO of Ealing. Machin’s sales team will be spear-headed by top execs Natalie Brenner (currently head of sales at Ealing) and James Scott (currently head of sales at Metropolis). Brenner will take the role of EVP and Scott will be SVP of the new company, which will be based out of Ealing Studios and will be fully operational by the beginning of next week. Ralph Kamp left Metropolis nine months ago to set up his own company Timeless. Also serving on the new company’s board will be Ealing head Barnaby Thompson and Paul Brett, who is the director and head of production at Prescience, which has funded around $250m worth of British and international productions including The King’s Speech and Ealing productions Easy Virtue, Dorian Gray and Burke & Hare. Ealing Metro’s current slate will merge current Ealing productions (including Nina Simone biopic Nina starring Mary J Blige) with current Prescience funded films including Iain Softley’s thriller Trap For Cinderella and comedy Better Living Through Chemistry starring Jeremy Renner and Jennifer Garner. The new venture will be unveiling its new slate in the run up to Cannes. Machin said the aim was to handle between 10 and 15 films a year. “In the current market, every sales company needs to have scale and diversity and that’s what this merger brings to both parties. 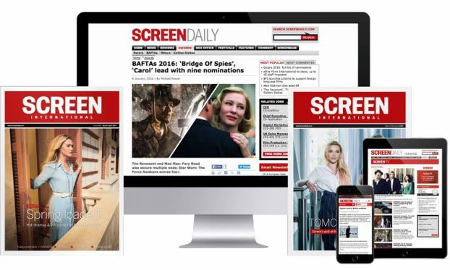 This is about creating a bigger stronger team and a more diverse slate of movies.To be launching such an exciting new venture with the wealth of talent and experience that we have at Ealing Metro is a great honour,” Machin told Screen.